PLACE: SZKLARSKA POREBA – POLAND. Training takes place in various locations of this beautiful mountain tourist spot and Czech Republic in Harahov. We recommend flights by WIZZAIR from London Luton to Wroclaw in Poland . You’ll be collected for FREE from Wroclaw Airport at 12.00 on 9th July 2019 by private taxi and dropped off at the hotel. If you’re arriving later than 12.00 we can advise you on how to get from Wroclaw to the location or we can arrange a private taxi for a fee. For the fifth time Krav Maga Midlands and FCF Krav Maga are going to run a Krav Maga Summer Camp in Szklarska Poreba in Poland. Students that participated over the last five years know the four days are not just educational but great fun. This year’s Krav Maga Summer Camp once again will be under the command of Krav Maga Experts, Dariusz Walus and Bartosz Zukowski as well as special guest instructors. Adding to the fun this year we’ve extend camp an extra day for tactical firearms training. And we have a few extra surprises in store for you. Fun!! 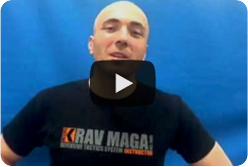 !…Learn news skills and make new Krav Maga friends. For those who wants to try we offer force to force shooting with Glock FX for extra fee. To book your place please use the button below. You can book by paying a £100 deposit and settle the rest by either instalments or cash on the day. Please bring with you: groin protection, mouth guard, shin pads, mma gloves, 16oz sparring gloves.